So here is Part 2 of the list of ten books I read during the 1980s that for one reason or other have stuck with me to the present. (See here for Part 1.) I noted previously that the entries so far were exclusively by white male American authors… time for a break from that, surely? A book difficult to summarise, one that left impressions and memories of moments rather than grand sweeps of plot and conflict. And very different from the visions of glittering hardware so prevalent in most other SF at the time. Snake, the protagonist, is a healer travelling in a post-apocalyptic world, making use of her genetically modified and alien snakes to help those in need. Her quest is not one of earth-shattering consequence, but it’s of important to her — to replace her murdered dreamsnake so she can provide relief from pain to her patients. This is a story about society, about the internal journey, about people. Hugely prolific, many of C. J. Cherryh’s books dominated the store bookshelves of the early- to mid-80s, “Downbelow Station” probably being chief amongst them. 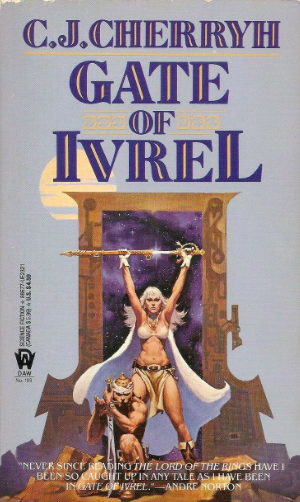 But I mostly remember her first novel, “Gate of Ivrel” (actually first published in 1976). 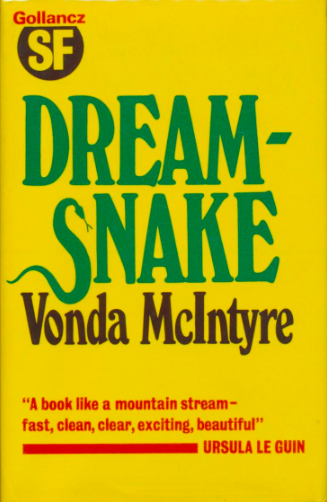 It turned the tables on standard F&SF gender roles, with the male Vanye being the frustrated companion to Morgaine’s enigmatic champion (in Moorcockian terms). I also remember many of the characters having motivations and agendas that appeared ambiguous and difficult to fathom. I had to think. Who did I trust? Who was telling the truth? What people said and how they acted didn’t necessarily match — a very valuable lesson. Uh oh. Back to the white US male dominance again. So, growing up, horror never really appealed to me all that much… garish covers of giants slugs, crabs, or half-melted human faces… no thanks! But then I caught the TV adaptation of “Salem’s Lot” — the one with David Soul and James Mason — and I knew this was a book and an author I would have to read. From “Lot” to the “The Shining” and then to “The Stand”. For most authors just the initial premise of a virus devastating the human population would have been enough to fill an entire book, but King goes beyond that, to a climactic confrontation between “good” and “evil”, with one of the most memorable deus ex machina resolutions ever. The novel’s true power lies in its characters, of course, each faced with multiple opportunities to change their destiny from damnation to salvation (and visa versa), and the reader caring about the outcome. Neat trick. Like GRRM, another up-and-coming author to keep an eye on. GRRM’s first appearance in this list (and second overall), here along with Lisa Tuttle is — shock! — a tri-part tale of high hopes, dashed dreams, a life made worthwhile despite (and perhaps even because of) tragic events and unexpected defeats. 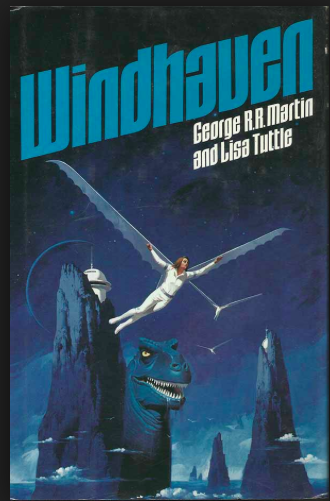 “Windhaven” is basically a tale of class warfare, the struggle between those with talent and ambition but no means, versus the entitled flyers who inherit their privilege — in this case the right to own artificial wings which allow them to travel across Windhaven’s vast stretches of ocean. An age old tale with far-reaching appeal, but certainly not simplistic: unintended consequences, setbacks, and complications abound, with eventual “success” only achieved at the expense of struggle, loss, sacrifice, and compromise. In my considered opinion, possibly the only vampire novel you’ll ever need to read. The whole trope has been so bombed out recently that reading it now it could appear derivative, but remember it predates the recent run of movies and TV series. “Dream” basically explores every reasonable permutation of the sparkly vs non-sparkly vampire conflict: vampires as unthinking beasts that consider humans their cattle to feed on as and when they desire vs vampires as enlightened rational beings struggling to uplift their kind against their nature. So: no more need for “The Vampire Diaries”. Plus! Paddle steamers, ugly person ennui, gumbo! 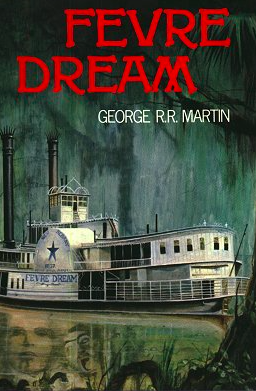 GRRM’s best novel, IMHO. Heavily promoted at the time as the first part in a ground-breaking epic trilogy (which, of course, later grew to more than three books), I fell for the marketing and cool cover… and found to my surprise that actually, yes, this was something I hadn’t seen before – science fiction but with epic fantasy/fairytale overtones. Starting in the future, it fairly swiftly and decisively shifts to the far past — the Pliocene Era — where a ragbag band of human exiles twine through their various character arcs alongside the Tanu (read: elves) and the Firvulag (read: dwarves), who also happen to inhabit that distant time. It’s pretty kooky, but the setting and the various soap-opera like developments for the diverse cast grips and gives the story impetus that almost lasts for the whole of the first trilogy. 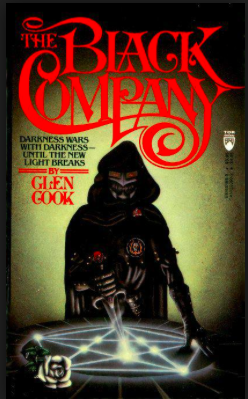 I first encountered Croaker and the Black Company in the pages of F&SF. Only much later did I realise that initial story had been expanded to a novel (and, inevitably, into a whole series). I loved the Black Company’s camaraderie, their deadpan humour, their grim understatement. It felt very real(istic). “The Black Company” highlighted the importance of names (such great names: Croaker, Limper, Raven, Darling…) and the gamifying allure of enumerated groups (something Tolkien and Moorcock had obviously taken advantage of long before, but which I had never really been conscious of): the Ten Who Were Taken, the Circle of Eighteen, etc., immediately creating a plot punch list of escalating opponent encounters. 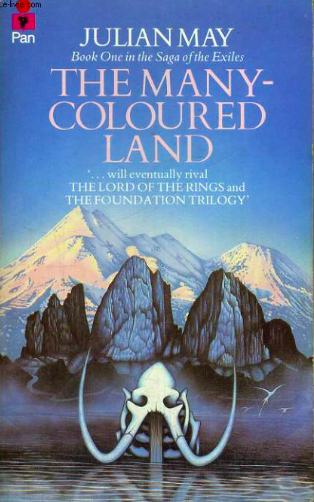 The first novel I read of Holdstock’s was the criminally under-rated “Where Time Winds Blow” — a sort of temporal version of Pohl’s “Gateway” — and I knew immediately that as the buzz around “Mythago Wood” grew it would need to be added to my TBR list. 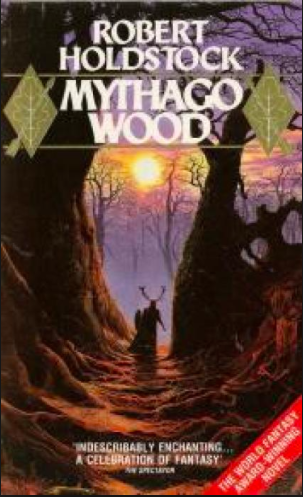 “Wood” is a very different novel from “Time Winds”, but they are both very British, confounding the expectations of a simple quest-driven plot (although there are certainly elements of that), or a neat and tidy conclusion. Nor are there too many elements shared with Enid Blyton’s “Far Away Tree”. “Mythago Wood” is its own thing, and you may only successfully approach it on its own terms, a singularity hidden deep within the heart of ancient English woodland, inhabited by… well, who knows what? 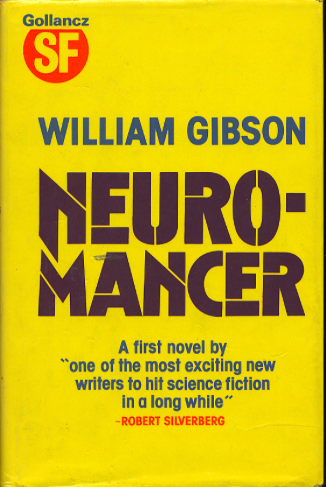 What list of SF in the 80s can be complete without mention of “Neuromancer”? None! I first encountered William Gibson’s writing in the monthly glossy Omni, with his “Johnny Mnemonic”. That story’s streetwise “razorgirl” Molly Millions went on to feature in “Neuromancer”, and despite the battle between the Wintermute and Neuromancer AIs having dated somewhat, at the time it seemed punky, urban, gritty, ground-breaking and there’s no doubt it helped spawn a host of imitators and what went on to become a decade-defining subgenre. My day job now involves plenty of exposure to evil corporate mainframes… and I can tell you, “Neuromancer” they are not. My first encounter with Simmon’s writing was “Song of Kali”, a grim and gritty travelogue urban horror, as well as some of his great short stories (“Metastasis”, “Iverson’s Pits”, etc.). Then there was a fairly long gap, and then suddenly he seemed to re-explode onto the scene, with his gripping thriller “Carrion Comfort” and terrifying “It” tribute, “Summer of Night”. But it’s his “Hyperion Cantos” that he’s best known for, and deservedly so. 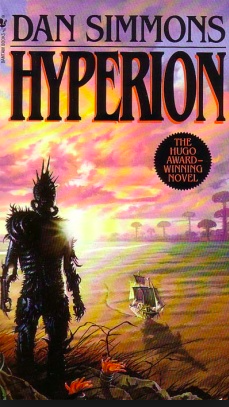 “Hyperion” is loosely structured along the lines of The Canterbury Tales, a series of narrated, interwoven tales by a variety of characters travelling to the mysterious Time Tombs on the planet of Hyperion. Sense of wonder galore here, as Simmons targets organised religion and human hubris. 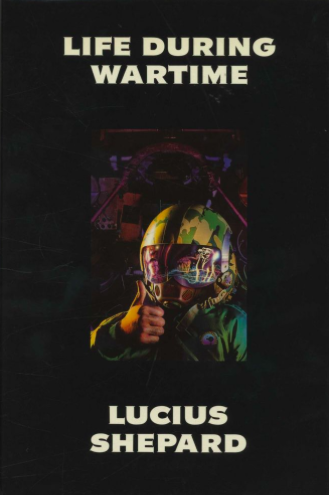 And so we close with Lucius Shepard’s second novel. A hallucinatory, largely plotless novel where reality and hallucination intertwine. 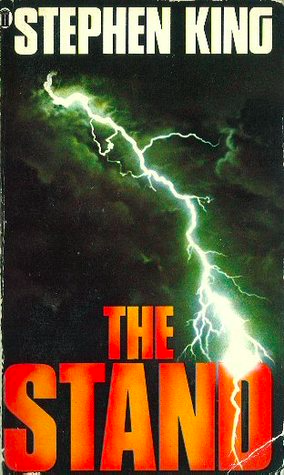 Like many of the authors featured here, I think Shepard’s short stories are stronger than his novel work, with such classics as “Mengele”, “R & R”, “The Jaguar Hunter”, “Kalimantan”… not to mention his sequence of tales set in and around the gigantic corpse of the Dragon Griaule… all packing one hell of a moral punch. But “Wartime”, I think, perfectly captures a moment, just before the 1990s, a transition from one decade to another, a point where the 80s, for me, came to an end. So. That was my 80s. Spanning my nerdy teenage years in Thatcherite Britain to university and beyond. My personal reading golden age. How could the Nineties possibly compare?